Back injuries, such as herniated disc injuries, are extremely common. Statistics show that eight in ten Americans will be affected by back pain, making it the leading cause of disability. Back injuries significantly compromise a person’s quality of life and can have a huge impact on motor functions. In many cases, back injuries are the result of preventable accidents. A personal injury claim can be filed by those injured in an accident caused by the reckless or negligent actions of another person or party. A personal injury lawsuit is intended to compensate individuals for losses associated with the injury. Attorney Gary A. Zucker has obtained compensation for those dealing with personal injury and herniated disc injuries in the Brooklyn, NY area, and he can be a great resource following an accident resulting in a back injury. A herniated disc is one of the most common types of back injuries. A spinal disc is a rubbery-like cushion that sits between the vertebrae of the back and neck. Each disc is made up of a softer center, called the nucleus, and a tougher exterior, called the annulus. A herniated disc, which is sometimes called a slipped disc or a ruptured disc, occurs when a portion of the nucleus pushes through the outer annulus. When this occurs, it can put pressure on the nerves in the back or neck, resulting in a number of uncomfortable side effects. Herniated discs cause a number of side effects, including radiating pain (often in the legs or arms), a tingling or numbing sensation in the arms or legs, and muscle weakness. In severe situations, a herniated disc may even compromise sexual functions and bowel control. Unfortunately, the physical side effects of a herniated disc are only one area of injury damages. Herniated disc injuries often have a huge financial impact. 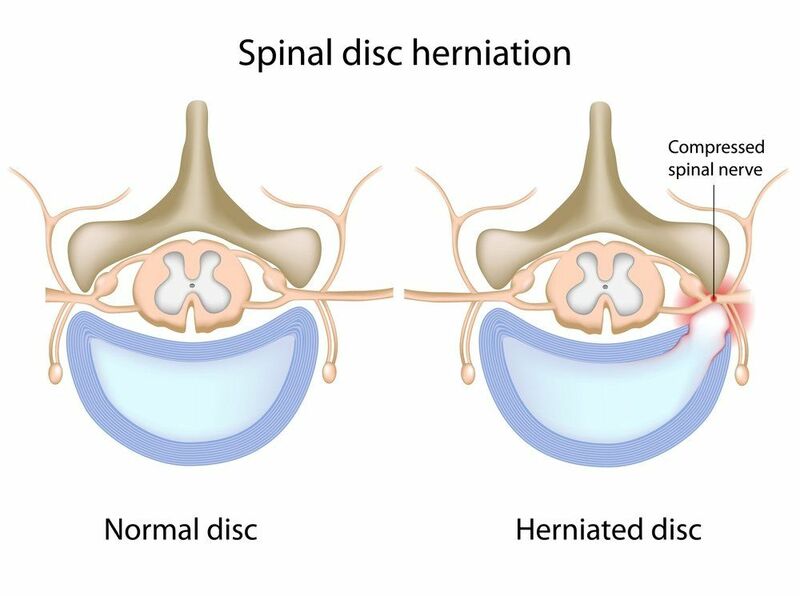 Most herniated disc injuries require lengthy medical care and multiple forms of treatment. Because of the physical strain of a herniated disc, and the time that must be devoted to treatment, most injury victims require time away from work, which further exacerbates the financial hardship of the injury. When seeking compensation for clients with herniated discs, our lawyers will take into account pain and suffering, financial losses, and the overall impact that the injury has had on their quality of life. If you’ve been involved in an accident that resulted in a herniated disc injury, it is important to work with an experienced attorney, such as Gary A. Zucker, to ensure your legal rights are protected. Schedule a consultation at your earliest convenience to discuss the details of your case and find out more about your right to financial compensation.